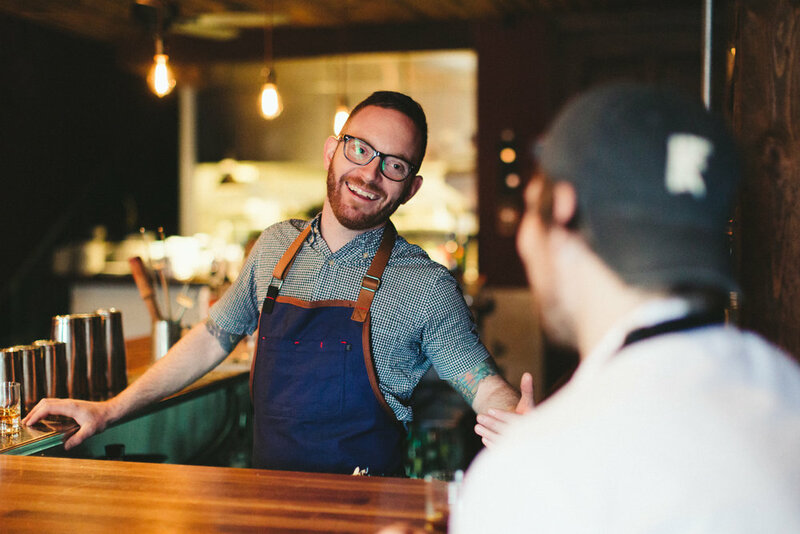 Being a bartender or a mixologist is more than just making drinks for people. there really is an art to bartending and it can get downright dirty, at least for your clothes. one complaint we always hear from bartenders is about them ruining their clothes and having to always buy new digs. bartenders are expected to look good, but if you are always ruining your clothes it’s hard to do. 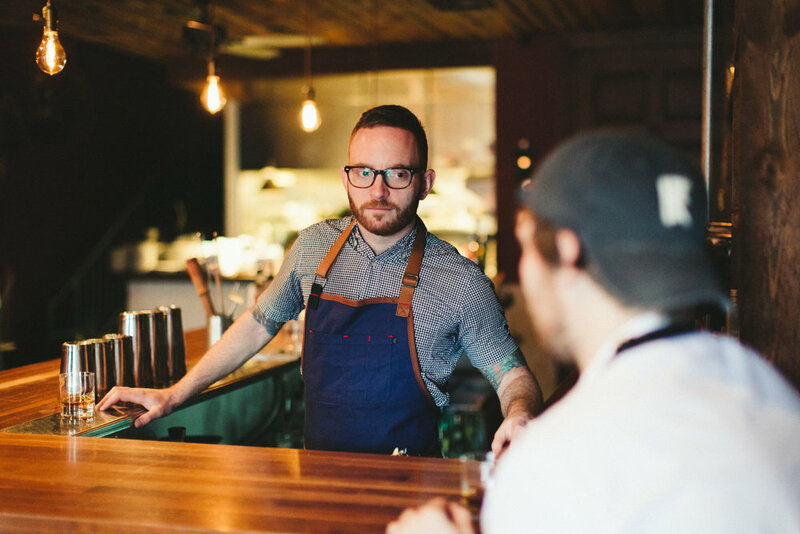 we interviewed kevin who is currently a bartender in st. louis, mo at 4 Hands Brewing co. you will hear him talk about things like which apron he uses from the knife & flag collection, which is the industry apron. he says it’s lightweight, durable and comfortable. when asked if he would recommend the apron to other people in his industry, he had a one word answer. “absolutely”.  KNIFE & FLAG...YOUR INDUSTRY’S GOLD STANDARD. WHO ARE SOME OF YOUR INFLUENCES IN THE INDUSTRY? “John Perkins | Kevin Lemp | Matt Obermark | Matt Sorrell - They’ve all proven that hard work, humility, kindness and the willingness and ability to pivot are crucial to being successful. I’ve learned a lot from them”. “My Knife & Flag apron has helped by protecting my clothes and keeping necessary tools easily accessible. It looks pretty sharp, too”. DID YOU EVER CONSIDER AN APRON LIKE THE KNIFE & FLAG APRONS BEFORE TRYING IT? “I did, but they seemed bulky and over-the top. My Knife & Flag apron is subtle and comfortable”. Since drinks aren't the only problem when bartending, you're likely to get food on your clothes, in your pockets and who knows where else. 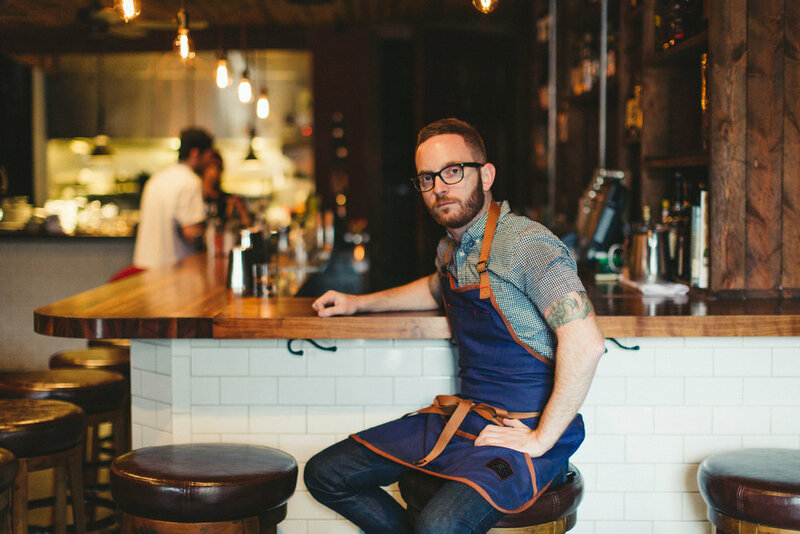 The slick finish of our industry apron allows drinks and food to hit the apron and not your wardrobe. All bartender aprons are made to be durable and water resistant making them easy to clean. The durability also means your apron is going to last for many years and not just a few months. You won't need a new apron every few months. the industry apron is one of our most inexpensive aprons.